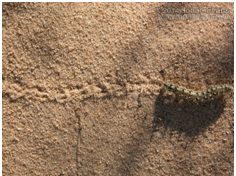 If you have ever looked at a plant or area of ground that a caterpillar has recently travelled across you will see tiny caterpillar tracks, almost as if hundreds of little feet has left their imprint in the soil. 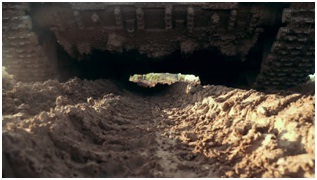 These tracks along with their movement are what links them to caterpillar tracks on tanks. The tracks left behind by these furry little creatures are similar to those left by a tank. If you are lucky enough to take part in a tank driving experience day, by companies such as https://www.armourgeddon.co.uk/tank-driving-experience.html you will know what we are talking about. For those of you unsure below are two images to help explain. But what is life like for a caterpillar? Like most insects the caterpillar starts its life off as an egg. These eggs are laid by a butterfly on the leaves of a variety of different types of plants. The shape of the eggs depends on the variety of butterfly and can be oval, round or a cylinder shape. The eggs are so small that they often go unnoticed. The caterpillar hatches from the egg and is actually butterfly larvae. As we have already mentioned these caterpillars are pre-programmed to eat and eat and eat, starting with the leaf that they were hatched on. These means that the mother butterfly has to carefully choose which leaf to lay her eggs on as her young will need to feed off this plant until they become more mobile. Once the caterpillar has eaten its way through piles and piles of leaves and has reached its full size they create a chrysalis or pupa inside which they are undergoing a magical transformation. It is inside this chrysalis that the caterpillar changes into a butterfly. The final life stage is that of the butterfly itself. Emerging from a chrysalis is no easy task and once it has broken free from its cell the butterfly’s wings are soft, lightly moist and folded flat against its body. This is where you will find newly emerged butterflies resting on twigs and leaves flexing their wings and warming them in the sunlight. After a few hours the butterfly starts to search for a mate and the whole lifecycle begins again.